Painting your home can make a world of difference to your property’s appearance. Painting costs will vary significantly depending on whether you paint the house yourself or hire painters. Painting may seem like a simple job. But it’s easy to forget about all of the preparation needed to achieve a high quality paint job. You could expect to pay around $4,000 to hire a painter to paint a small apartment, and up to $20,000 to paint a large, four bedroom home. To paint the interior of a house on a budget, you can use a single colour with minimal preparation and trim work. But it’s recommended that you apply an undercoat layer and two finishing coats. As mentioned in the table, you can expect to pay somewhere between $20 and $30 per square metre for standard interior painting costs. To achieve textured finishes, for example a sponged effect, you might expect to pay $30 to $40 per square metre. A good place to start is getting quotes from a few different painters in your area. But remember, it’s important to weigh up their costs with their level of experience. A painter that is a little more expensive may be much more efficient than a cheaper painter. Whereas a cheaper painter could potentially end up more costly in the long run if they don’t undertake professional preparation. Painting in preparation to sell? 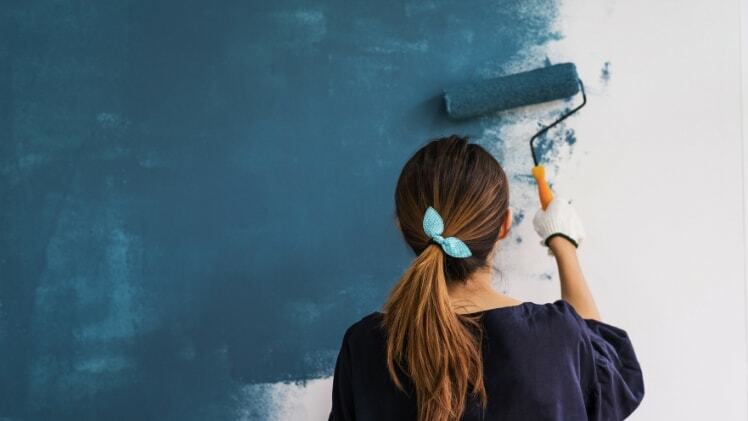 If you’re painting ahead of selling, it could be a good idea to ask a real estate agent for tips. They’ll not only know current buyer trends, but also may have connections with local reputable painters. Some buyers will buy and renovate anyway, so it’s a good idea not to over-capitalise on painting too. The kitchen and bathroom are two must-have painted rooms. Leaving the rest of the property as a blank canvas may appeal to some buyers. An agent can also help to give you advice on which room you should focus on. *The costs above were researched at the time of publication. Please use the costs in this article as a guide only.